A valve is a device that controls the flow of a fluid, be it liquid or gas, by opening or closing or even partially obstructing a pipe. They are found in many buildings, including your home used to control of water and gas to and from your house. There are times when even the newest of valves can sometimes become stuck. 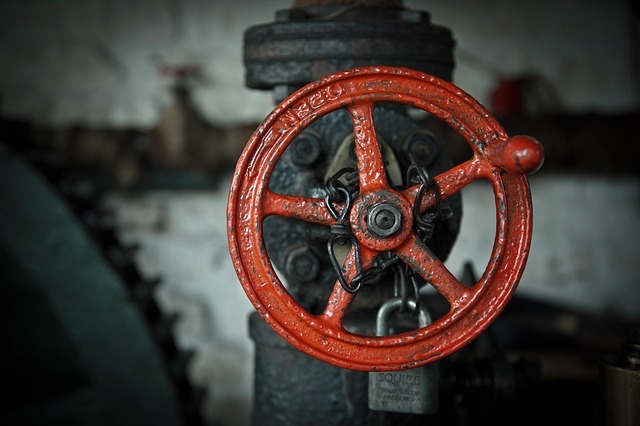 In an emergency situation where it is imperative that your gas or water supply be shut off, you can use all the extra help shutting of the valve. A valve wrench is the tool you should keep on hand for these types of situations. At Wrenchouse, we offer a variety of valve wrenches to fit a variety of valve wheels. Order yours online today. The first thing you should know is when rust forms on a tool, it immediately begins to corrode the metal at a fast rate. There are ways to prevent rust from forming on your needed tools that are simple to use. First you will want to make sure that your tools remain dry, if they or your toolbox happen to get wet, wipe down everything until it is dry. Coating your tools with mineral oil or paste wax will prevent rust from forming. Apply a thin coat and rub off excess until you can barely feel the coat of oil. Camphor or mothballs in your toolbox can eliminate oxidation from forming on your tools. 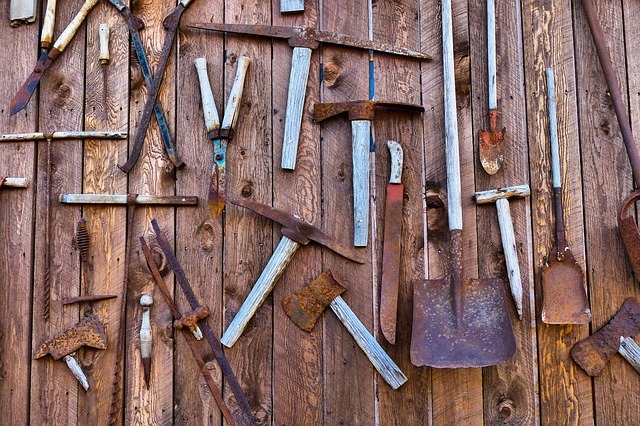 If rust has destroyed your old tools, start fresh by ordering your tools from Wrenchouse. We offer a wide selection of wrenches, our tools are American made and when maintained properly, can last you for years. For more information, contact us at (512)633-9945. Homeowners know that if you live in a house long enough you get well-acquainted with your home plumbing. That happens when problems with the plumbing occur; a clogged sink, dripping faucets, and plugged-up toilets are usually the culprits. Over time you learn how to fix the problems yourself, with the right tools those calls to the plumber will lessen. When it comes to fixing pipes, there is not a better tool to have in your arsenal than a wrench. The wrenches most needed for the job are a basin wrench, a pipe wrench, and an adjustable wrench. All are necessary for various nuts, bolts, and fittings that need adjustments. Most can be adjusted or sold in sizes that will grip the fitting perfectly, which means you will not strip the fitting. All of the wrenches and supplies sold on WrencHouse are American made. You can order yours knowing that you will be well-equipped for your next plumbing project while shopping American made products. Order online or for any questions contact us at (512)633-9945. The purpose of tools is to make our lives easy. There are many tools to choose from when we go to the convenience store. However, many have recommended the Flange Align Pin Set. A tool that has many other uses, but when it comes to home repairs it is especially suggested. Flange Aligning Tools are safe, fast, and an effective way to align any flanges, and flange bolt holes. The tool’s patented tapered shaft eliminates the need for hammering and pounding on the flange. Simply find a bolt hole that is somewhat aligned enough for the tapered end of the shaft to fit through and turn the bolt head. It is as easy as that! If it’s necessary, the operator can use a second flange aligning pin on the opposite side of the flange and rotate until the bolt holes are aligned. Once the holes are aligned simply slide in the flange bolts and torque to the proper rating. Wrenchouse has a wide variety of tools you can choose from. Wrenchouse is a family owned and operated company located just north of Austin, Texas. We distribute a large inventory of high quality, American-made industrial tools for refineries, chemical companies, and other heavy-duty industries throughout the US and international markets. Call us today at (512) 633-9945 or visit us online and get your Flange Align Pin set today! Striking and hammer wrenches have many uses however, the highlight of this wrench is the safety and durability that comes with it. For a very difficult task it may be hard to find the right tool. However the striking and hammer wrenches are fit to do just about anything. As you would know, the wrench family is consist of many different size and shapes, however, this type of wrench has reinforced box walls to help it remain in place on the fastener when the wrench is struck with a hammer. Striking wrenches feature a square, heavy handle that can be struck with a sledgehammer to help tighten large flange fittings. Where Can You Find The Best? Striking wrench or hammer wrenches are available in sizes from 1-1/16′ to 3-7/8″ nut sizes in 6 point straight style and from 1-1/16″ to 3-1/8″ nut size in a 12 point offset style tool. These incredibly tough tools are made in the USA. At Wrenchouse, your number one wrench provider, we have a huge inventory and can ship most orders the same or next day. These are the most affordable and toughest tools in industry. Call us today and place your order or visit us online today! American made tools are categorized better and more durable than other tools. Getting American made tools is not only being patriotic and supporting locally made items but getting the best there is. The satisfaction of using American made hand tools is just one of the blissfulness you get from seeing the fruits of your labor and the choices you’ve made to come to that. Whether it is as simple as a valve wrench or as big as pump shot equipment, American made tools are the best for your household and commercial needs. Wrechouse has it For You! Next time you’re thinking to buy some good American Made tools then check out the Wrenchouse! A great family owned and operated company located just North of Austin Texas. Try us today, call 512-633-9945 or visit us online and support American! Valve Wrenches – Valve wrenches are designed to reduce the chance of slipping and can be used like a hammer to help release stubborn valves. When a valve is really stuck, look no further than a valve wrench. 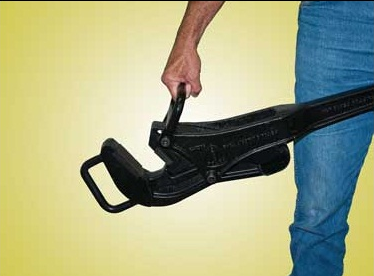 Pipe Wrenches – Pipe wrenches are affordable and some of the toughest in the industry. They are used when its necessary to make up or break out connections in a confined area. Rig Wrenches – Rig wrenches are also affordable and tough and provide a fast and safe method of making up or breaking out drill pipe on water wells and blast hole drilling rigs. If you’re in need of a new wrench or even more tools today, look no further than Wrenchouse for all your wrench and tool needs.